Friends, life has been full. In the past three weeks, I’ve ended one job, started a new one, seen Logan off to Field Training, and am in the middle of 5 trips in 4 weeks. So as you can imagine, blogging has taken a back burner lately. Fittingly, my #triangletuesday post this week is from a birthday celebration that happened a month after my actual birthday. 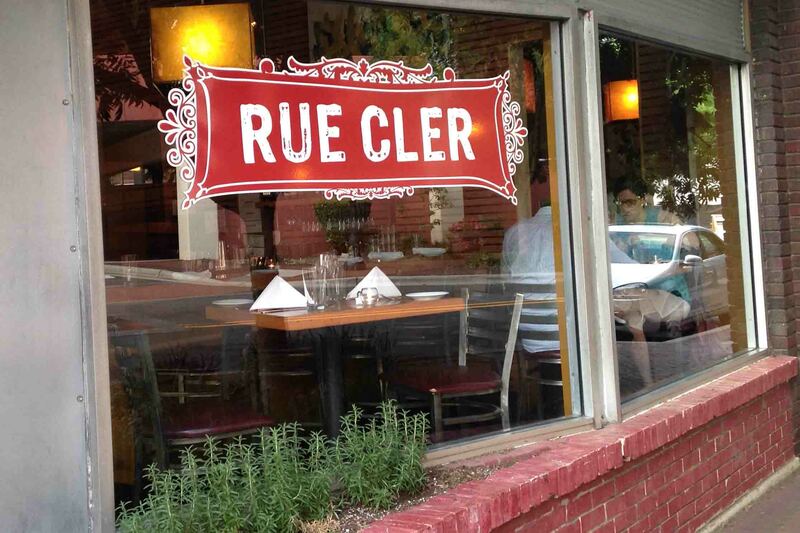 To celebrate my latest birthday, my parents took us to a gorgeous French restaurant in downtown Durham called Rue Cler. Rue Cler is the kind of restaurant that feels luxurious to step into. Fancy enough that it felt too unclassy to take a bunch of food pics on my iPhone, so this post will have relatively little eye candy. Sorry, didn’t want to be a tourist. But check their website for some drool-worthy pictures: their plating is beautiful. On a Sunday night, there were only a few other tables taken when we arrived, so it felt quieter than I could picture it being on a weekend. The staff were all very attentive, kind, and knowledgable. The host greeted us coming and going, which I always appreciate at a nice place. Rue Cler’s main thing is a three course prix fixe meal, so everyone at our table went that route. There’s three choices for each of the three courses, and pretty much all the options sounded delectable. Their menu changes monthly because the selections are all based on seasonal availability. But first, drinks! In addition to a full bar, they had several specialty cocktails. 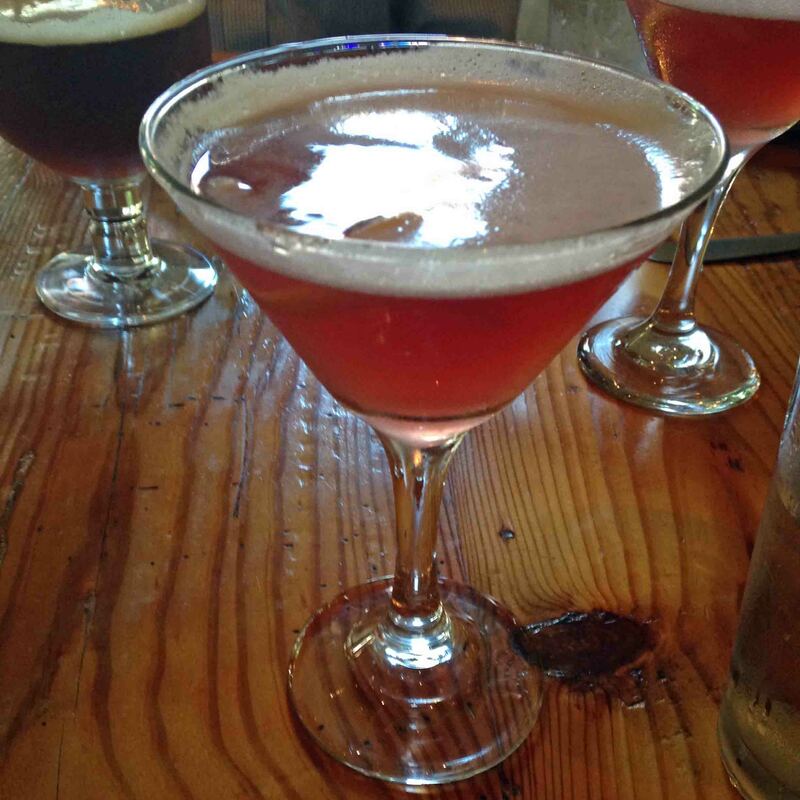 I tried a French Martini, which I’d never heard of but have seen referenced a couple times since. Chambord and pineapple juice? Yes please! It had lemon, vodka and a couple other things too, but I’ll order just about anything with pineapple in it. It turned out a little sweeter than my taste, but it’s always fun to try new things! For the first course, I had an arugula salad with strawberries, goat cheese, and a champagne vinaigrette. It was light, perfect for a summer evening. The goat cheese added a richness without making it heavy. I really loved the dressing – the champagne vinaigrette complimented the strawberries without adding any extra sugar. I chose the scallop for my second course, which was served with a sweet pea pancake and roasted red peppers. Scallops always feel decadent, and it was cooked perfectly. My only wish was that there were more of them! The pancake had a really subtle flavor, which I thought was interesting but didn’t add a ton to the dish. The red pepper offered a contrasting sweetness from the savory scallop that was delicious. Finally, my third course was a beef shoulder tenderloin. It was served with a summer vegetable gratin and covered in a red wine jus. The beef was cooked perfectly, and the gratin was a little unexpected but amazing. I think it had summer squash (among other things, but that was the predominant flavor). Because it was a birthday celebration, dessert was a must. I got a crepe with chocolate and strawberries, which was delicious but didn’t taste any more fancy or elevated than any other crepes. Logan got a creme brulee (one of his favorite desserts of all time) and it was perfect. Rich decadent creme, a crispy sugar top, and served still warm. To make things even more special, we got beignets for the table, and they were light, fluffy and tasty. I felt so loved by this birthday feast! Rue Cler was a wonderful choice for a celebration, and I absolutely loved it.